Children of God A Make-Believe Revolution? Comments: Tight and unmarked light wear. We take great pride in accurately describing the condition of our books ship within 48 hours and offer a 100% money back guarantee. Wangerin examines one small symbolic revolution against American capitalist culture. It was carried out by youth who were painfully and personally aware of the problems of what they called the System, though they did not necessarily understand the underlying causes of their problems. They called themselves the Children of God. Wangerin studied the Children of God from 1973-1978 in the United States, Mexico, and Italy and has kept in touch with some of them ever since. 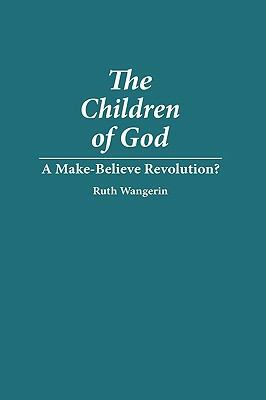 This is one of the most thorough studies of the controversial cult founded in 1968 by David Berg, and the only ethnography that treats it as a mystical utopian socialist movement.Wangerin, Ruth is the author of 'Children of God A Make-Believe Revolution?' with ISBN 9780897893527 and ISBN 0897893522. Loading marketplace prices 112 copies from $33.03 How does the rental process work?